Pro Kabaddi League 2018 Tamil Thalaivas vs UP Yoddha, Jaipur Pink Panthers vs U Mumba Highlights: Both matches on Saturday ended in ties. Pro Kabaddi League 2018 Tamil Thalaivas vs UP Yoddha, Jaipur Pink Panthers vs U Mumba Highlights: UP Yoddha and Tamil Thalaivas played out a thrilling 25-25 tie in a tense encounter of Vivo Pro Kabaddi Season 6 at the Tau Devi Lal Stadium here Saturday. Prashanth Kumar Rai’s successful raid in the last minute clinched the tie for UP Yoddha. Rai was also the top scorer as he picked up 12 raid points. Tamil Thalaivas would be disappointed in the end as they had the chance to win the match. Ajay Thakur top scored for Thalaivas with 6 points whereas Amit Hooda got a high five. U Mumba fight back and Jaipur Pink Panthers hold on. An absorbing match comes to an end. No defeats today for U Mumba but they have survived a mighty scare. Jaipur are on the verge of managing a major upset here. U Mumba have lost just four matches all season and this could very well be their fifth defeat. Typical U Mumba, calmly collecting their defence points and the raiders doing their job. Jaipur have made it to 12 points but the gap between the two sides is clear. One team have been the spectacle of self destruction, the other have made a joke out of oppositions many a times during the season. This should be interesting. It is that kind of a match. The two sides were never really far apart at any point, despite the fact that Thalaivas did pull away briefly. 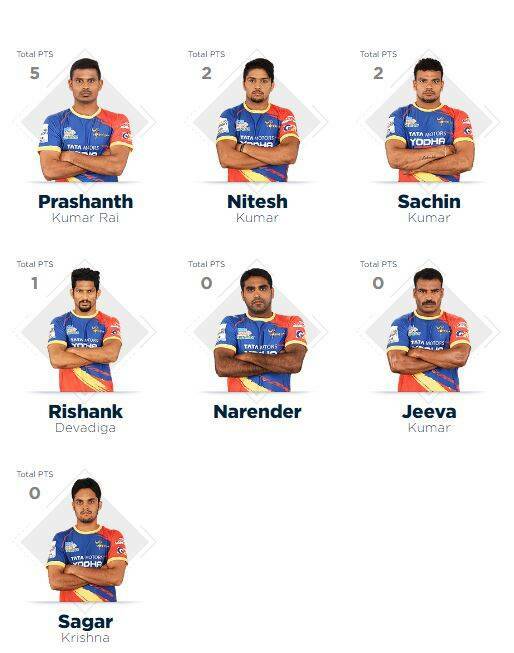 The Thalaiavas look like they are getting on the kind of roll that resulted in them winning the few matches they have won this season. Some defensive shrewdness helps the Thalaiavas pull away at half time. It has been a close contest, this first half. Both sides are pretty much nose to nose here and it doesn't look like any side can pull away. 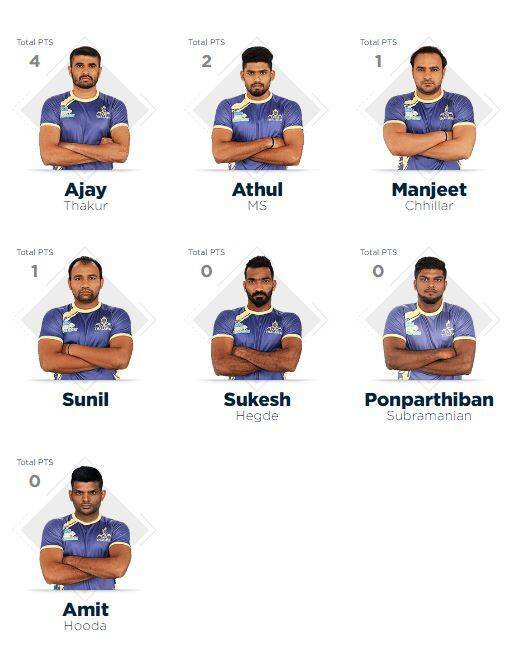 Tamil Thalaivas are completely out of it, UP Yoddha are still in it. One playing for pride, or whatever, the other playing for a tangible outcome. These are the teams.